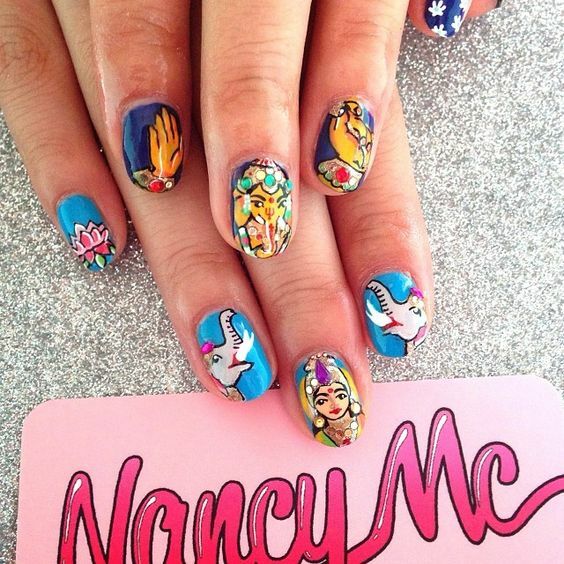 If you feel that you’ve tried just about every nail design and pattern imaginable, we have good news for you – Indian style designs are on their way! 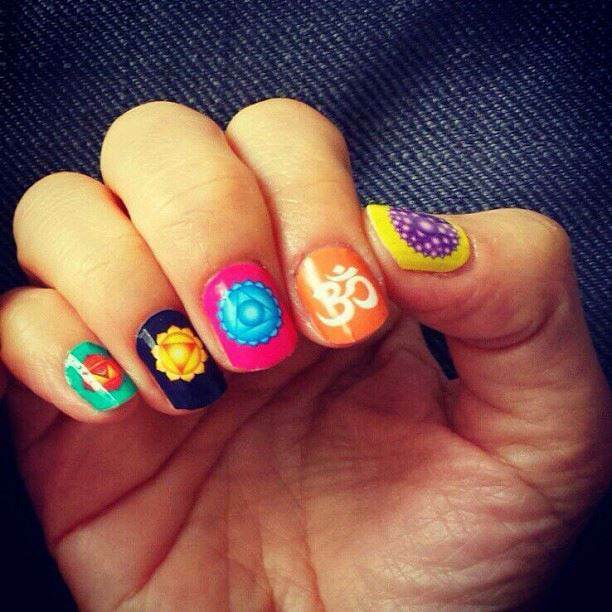 Here are 15 of the best Indian style nail designs you should try right now. 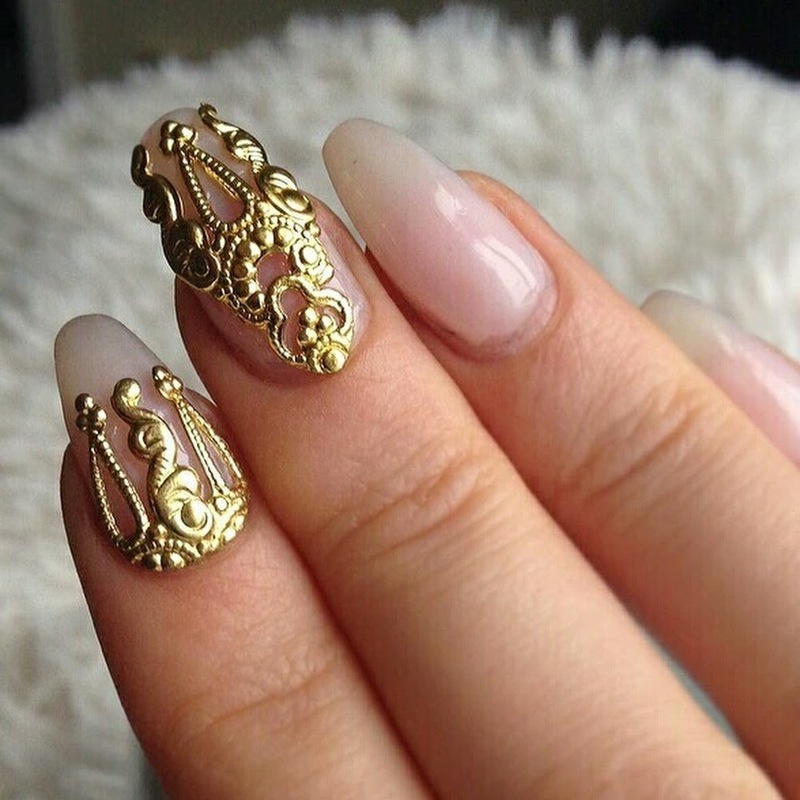 Subtle ombre effect accompanied by gold embellishments will turn your nails into a real statement piece. 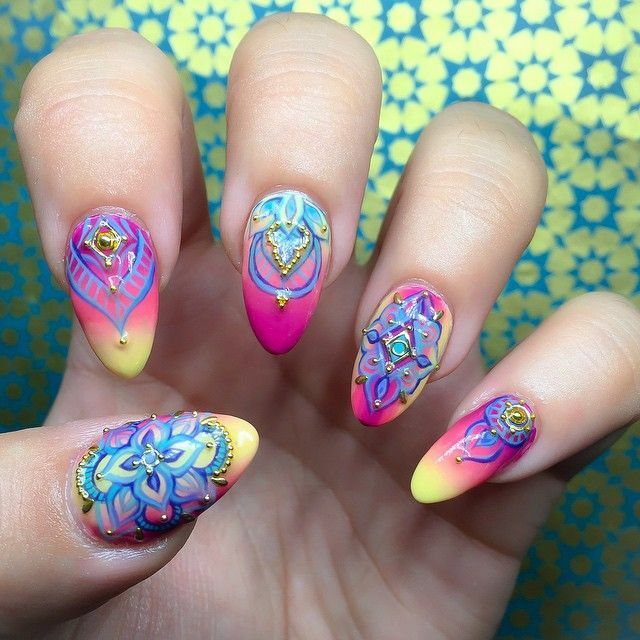 Pastel nail colour goes really well with bold patterns that seem almost careless. 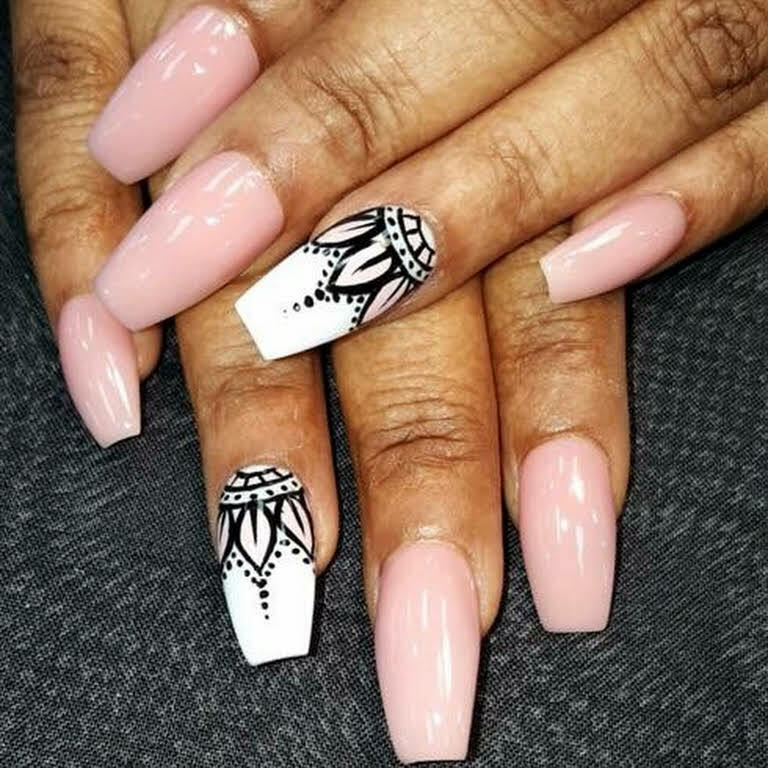 A simple trend for long nails. 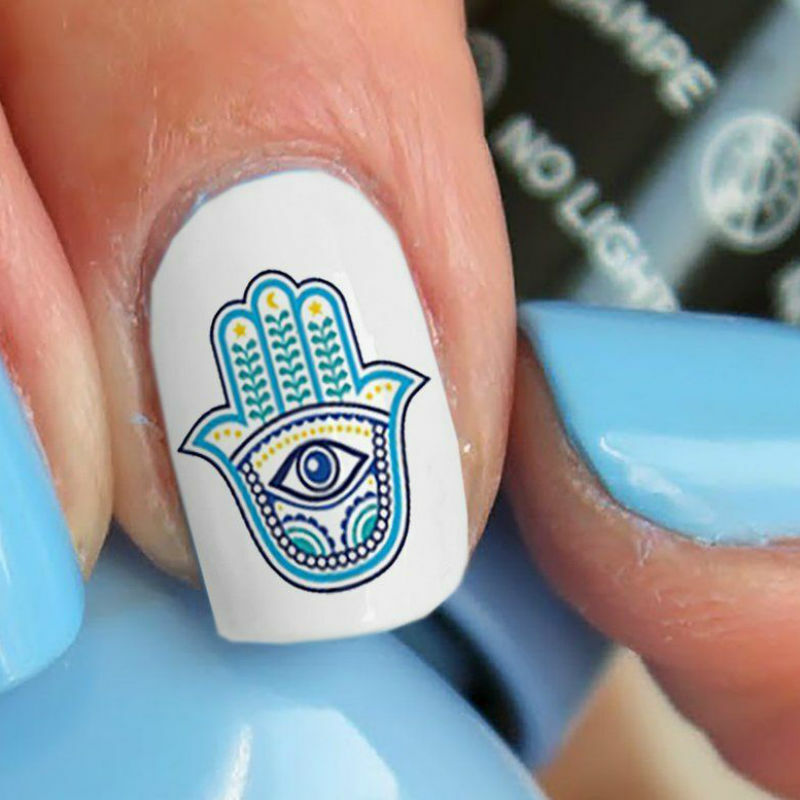 The beautiful symbolism of Hamsa makes it a perfect element to include into any nail design. 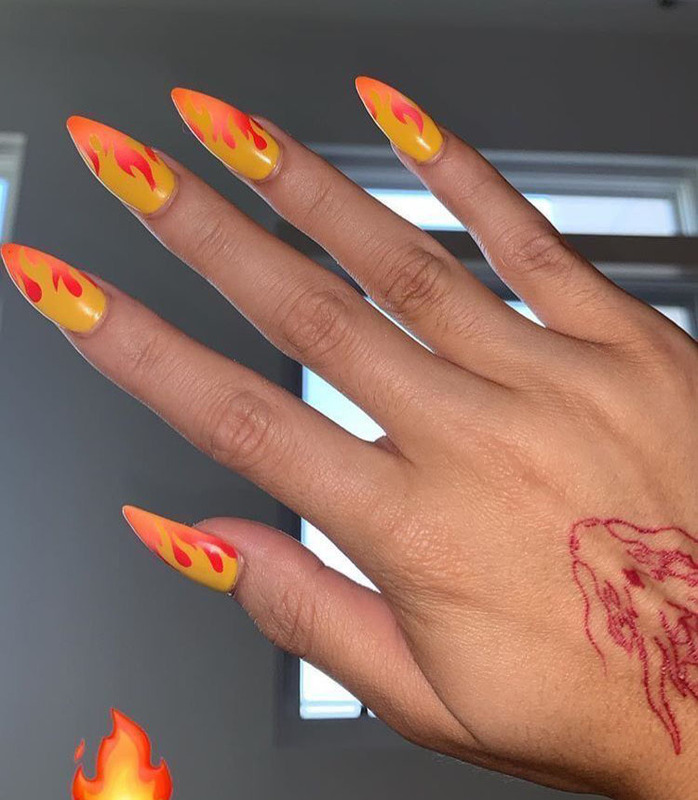 You’ve probably seen Henna hand designs, but what about Henna nails? They look just as unique and elegant! Indian culture is rich and beautiful, so why not use its various symbols for decoration? Chakras and Oms look spectacular no matter where you put them. 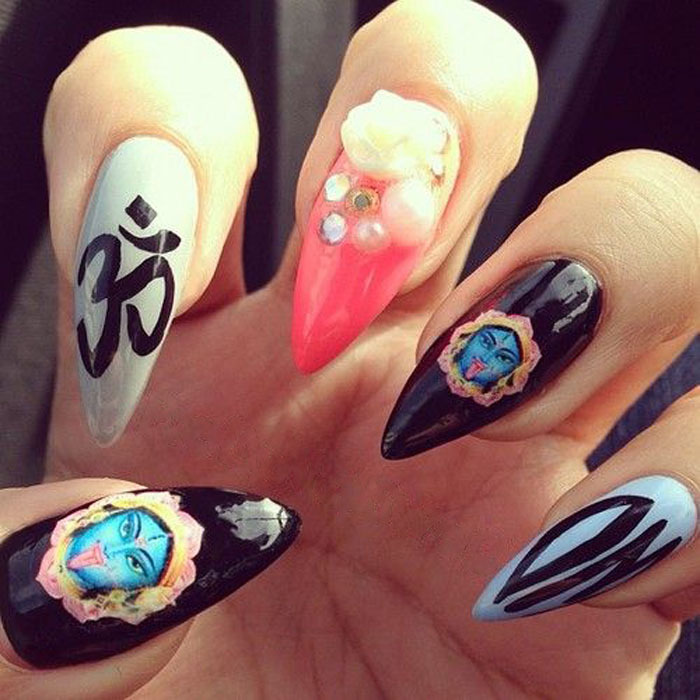 Accompanied by symbols like Om and beautiful flowers, this Indian style nail design is both unique and charming. Natural elements are all around us, so why not turn them into cute nail designs? 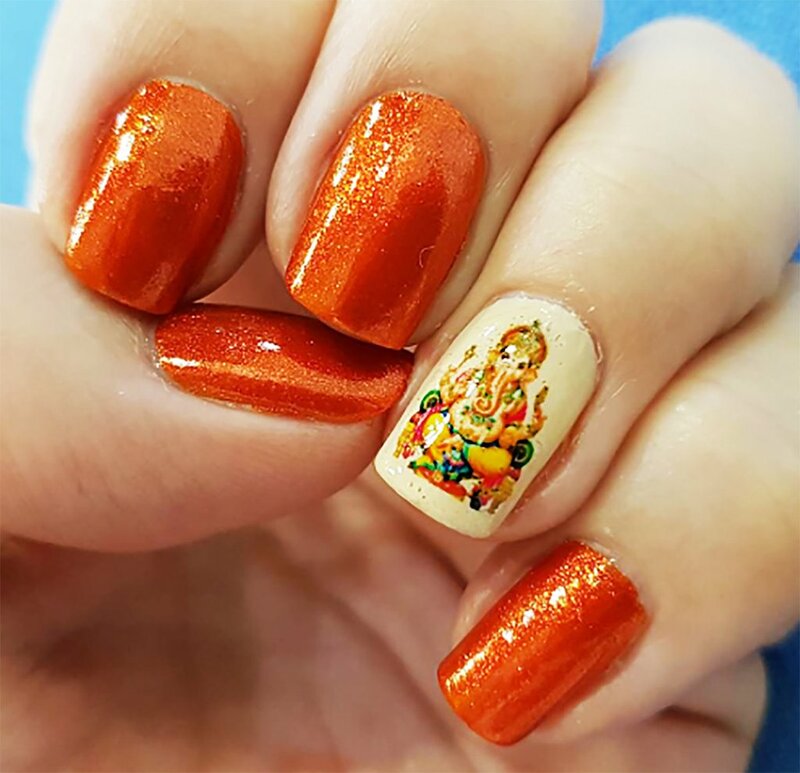 Another take on Hinduism-inspired nail design. This is something we bet you like to try! 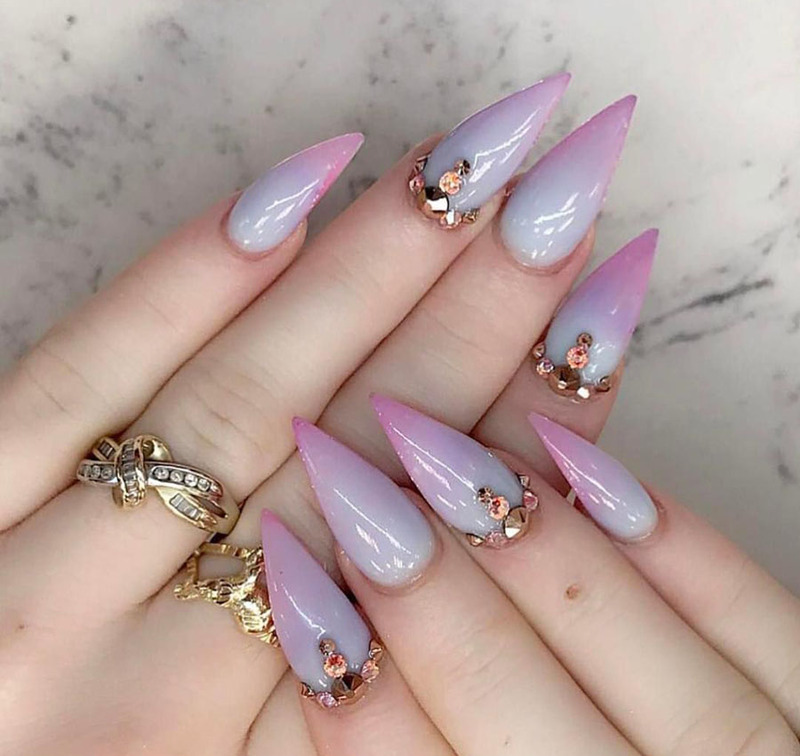 Ombre nail designs have been all the rage lately. This purplish palette looks stunning with hard gel overlay and intricate hand painted design. An elegant design with Ganesh will bring you peace, calmness, and luck. 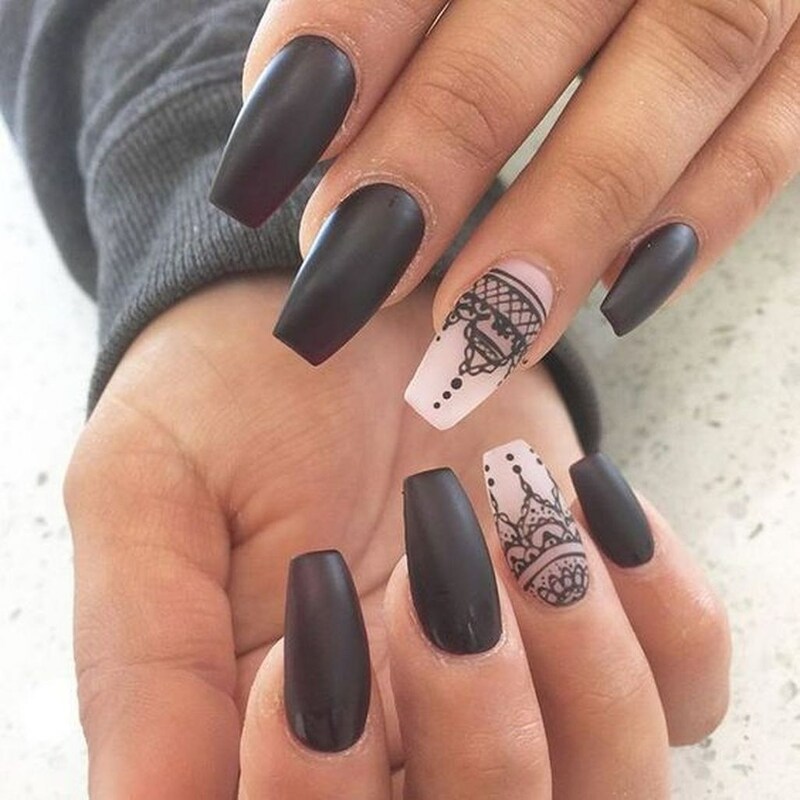 Subtle henna art paired with metallic nails looks classy, elegant, and will suit any occasion. Add some extra bling for a lush look or simply to brighten up your day. 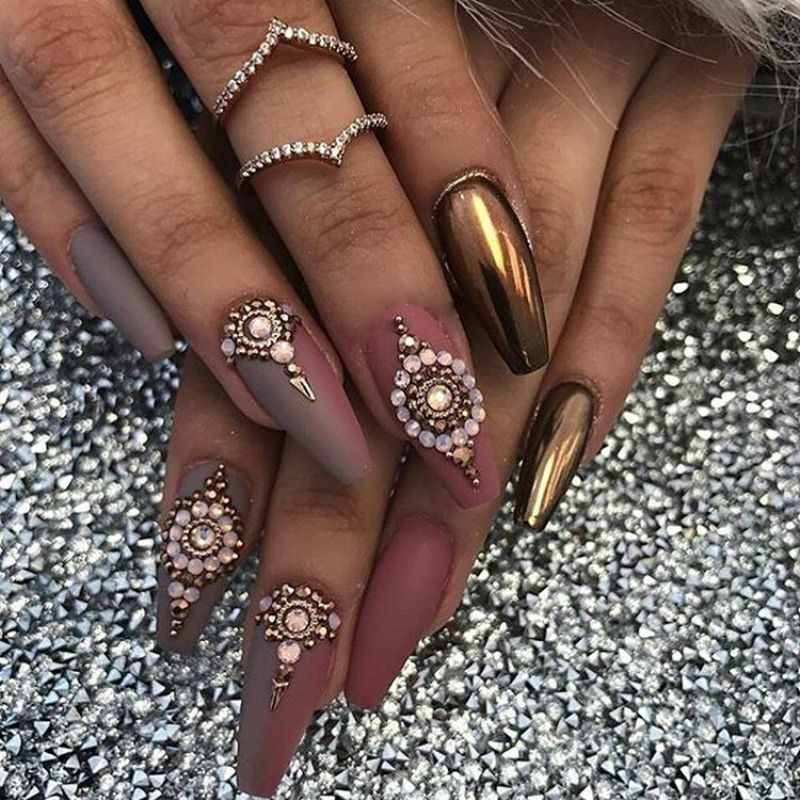 Chrome nails look exquisite paired with matte plum colour and gentle gold-and-rose embellishments. Save this look for a special occasion! 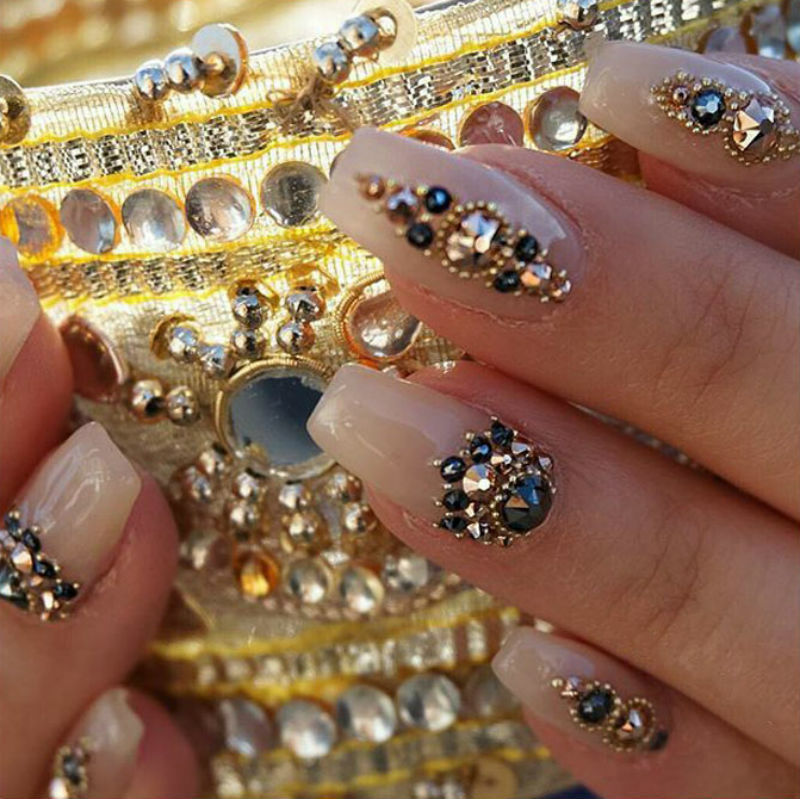 You have to be careful with 3D nail art, but when done right – it’s the most beautiful thing in the world! 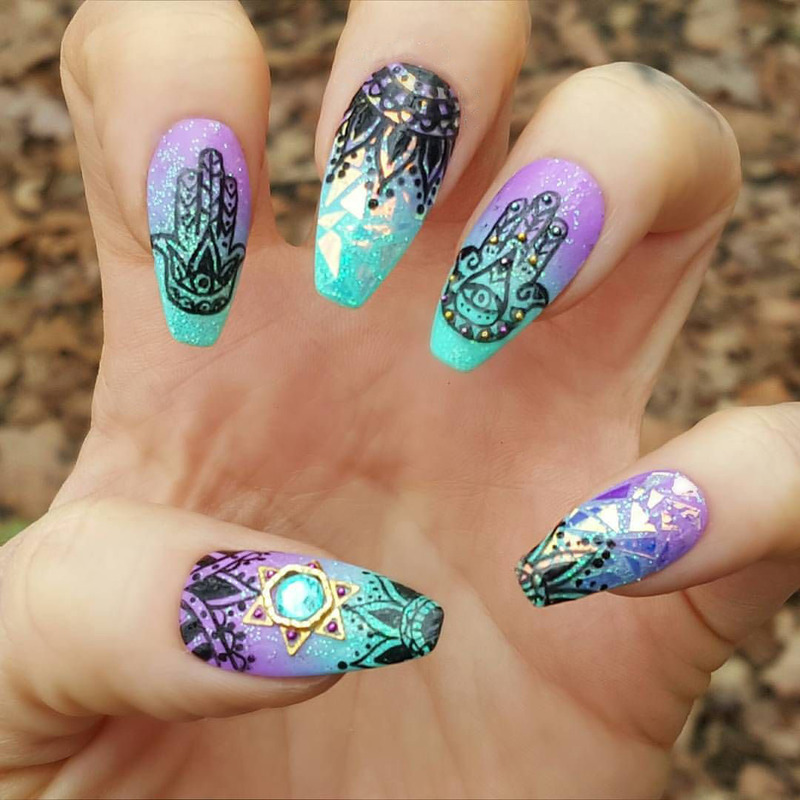 Literally nothing can go wrong when you choose a mandala pattern for your Indian nail design. It looks both sweet and effortless.